Home shoppers who are ready to buy and ready to move in to a turn key home this winter are invited to visit Pardee Homes’ Overlook in Lake Elsinore located in the gated Westridge community. LAKE ELSINORE, CA, February 03, 2018 /24-7PressRelease/ — Pardee Homes has released three beautifully furnished model homes for sale, complete with fully landscaped backyards, at Overlook in Lake Elsinore. 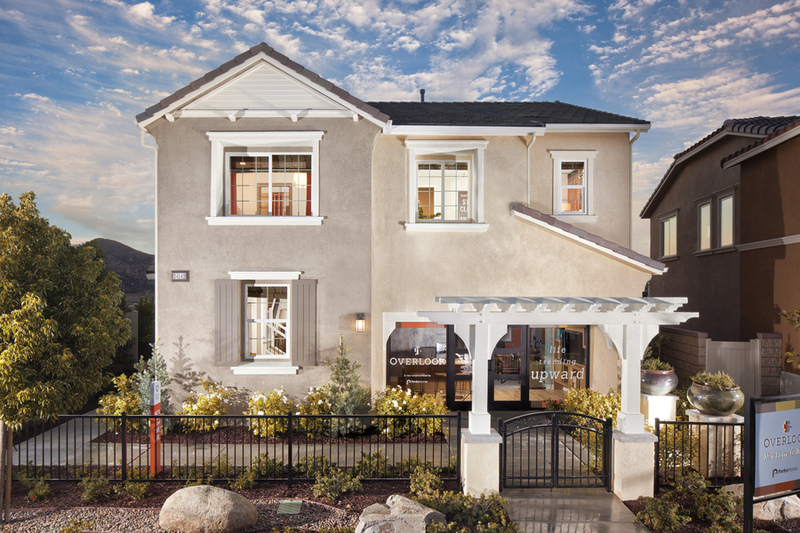 Overlook is in Westridge, the newest village at Canyon Hills, offering a gated, view-oriented setting featuring groupings of single-family homes, some arranged in clusters, with stylish architecture, open, airy interiors and picturesque street scenes. Plan 1B is a three bedroom, two and one-half bath home with approximately 1,789 square feet and priced at $439,852. This exceptional model home has quartz kitchen countertops, upgraded flooring and a built-in backyard barbecue. Plan 2C, priced at $482,972 has three bedrooms, two and one-half baths, a den/office, loft and approximately 2,059 square feet. Upgraded features include New Caledonia granite kitchen countertops and white cabinetry. Plan 3A, with four bedrooms, three baths and approximately 2,203 square feet, is priced at $515,806. It is spacious and airy with a loft, covered patio and ceiling fans, plus a solar electric power system is included. Located right next to Summit Park, Overlook features distinctive interiors with earth-friendly carpeting, Quartz solid surface countertops or slab granite kitchen countertops, gourmet kitchens with General Electric stainless steel finish appliances including a 30″ five-burner gas range and dishwasher, convenient storage pantry, and recycling center. All homes come with dual-pane spectrally selective Low-E windows, energy-efficient programmable thermostats, tankless water heaters, and water-friendly front yard landscaping. Like all new homes built by Pardee Homes, Overlook includes the company’s LivingSmart package of standard and optional features that increase energy-efficiency, save water, save money and contribute to the homeowners’ long-term peace of mind. Westridge is conveniently located along Railroad Canyon Road at the entrance to the master-planned community and offering easy access to I-15 and I-215, convenient shopping at nearby Canyon Hills Marketplace and extensive recreational opportunities for boating and water sports down the hill at Lake Elsinore. Westridge sits on a terraced hillside overlooking Lake Elsinore, Canyon Lake and the surrounding rolling hills. Community amenities include two-acre Summit Park featuring a lap/wading/beach entry pool, spa, showers, tot lot, picnic tables and BBQs, fire pit, and basketball court and Bark Park, a dog park with two fenced-in areas, shade trees, benches and plenty of room to run. To schedule a viewing of the Overlook model homes, please call (951) 399-2363.